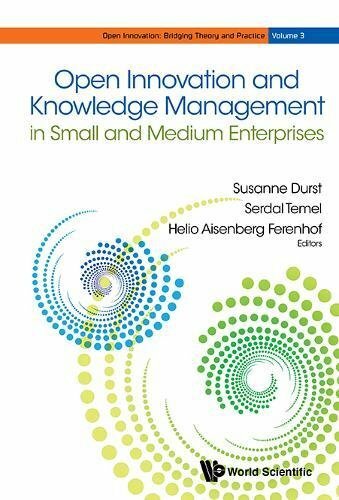 The book studies the interplay between open innovation and knowledge management issues in small and medium-sized enterprises (SMEs). With the proliferation of the open innovation paradigm and against the backdrop of increasing external knowledge transfer activities, knowledge management is more important than ever for innovation and firm performance of any type of organization. In fact, knowledge management is no longer a pure intra-organizational activity but constitutes a vital interface function between the organization and its external partners/stakeholders. Throughout the book, readers will obtain both a broad overview of the two main concepts namely open innovation and knowledge management and its interplay. In addition, research will be presented which will help the readers to develop and/or expand their understanding of the phenomenon. This broad approach can also support in broadening the mindset regarding the topic under investigation and its application. Thereby, this book will primarily focus on SMEs and their approach with respect to the interplay in question. In order to achieve the above-mentioned aim, the book consists of ten chapters that are assigned to three parts. Part 1 introduces to the main concepts, namely, SMEs, Open Innovation, Knowledge Management, and the interplay between open innovation and knowledge management in SMEs. This is followed by Part 2, which provides empirical research insights into the phenomenon of interest. The book concludes with Part 3 which addresses promising future avenues regarding the study of open innovation and knowledge management in SMEs. All the chapters are written by leading international researchers in the respective fields, which makes the book a unique piece of work. If you have any questions about this product by World Scientific Publishing, contact us by completing and submitting the form below. If you are looking for a specif part number, please include it with your message.